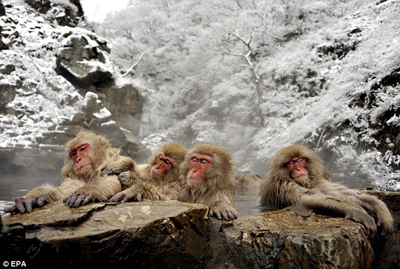 Japanese monkeys (macaques) enjoying a hot springs bath. OH MY GOD! I have THREE arms! Dude- this is like TOTALLY dissolving away my work stress. Don’t be mad, honey. All he did was kiss my cheek, right here. Mommy wake up. Watch me jump into the water! 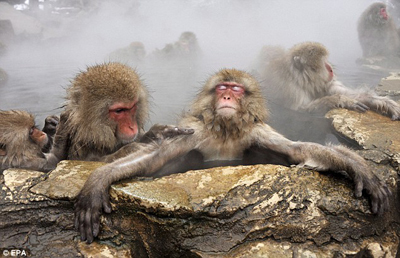 page topic: Japanese Monkey Pictures: Macaques monkeys in a hot springs hot tub. those pics are really wierd and really COOL! there cool and funny.thanks for putting them on website. bye for now awesome people! 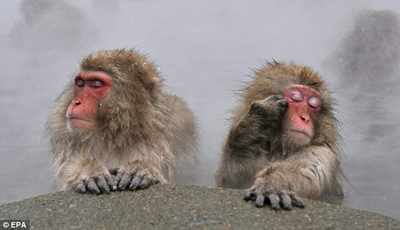 EVEN THE UGLY ONE IS SO CUTE. I REALLY DO NOT KNOW WHICH ONE IS THE BEST. Chanceless photos,enjoyed a lot, seen every photo. good keep going. 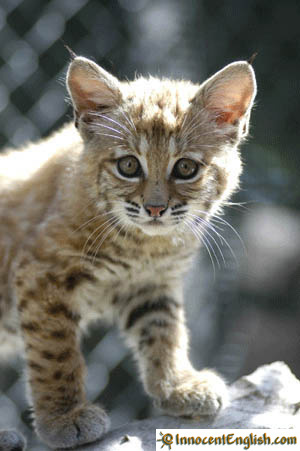 i love love love cats u dont know. 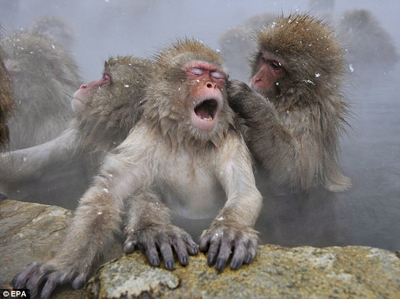 ooooooooooooo i dont like monkeys but the kitten pic was soooooooooooooo cute!!!!!!!!!!!!! 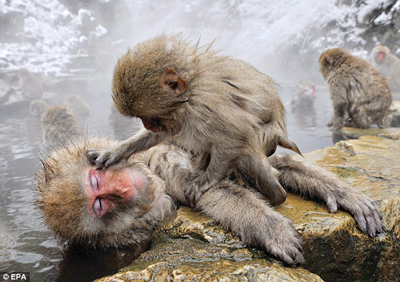 monkey’s are not like cute but dogs and cats are soooo adorable!!!!!!!!! !